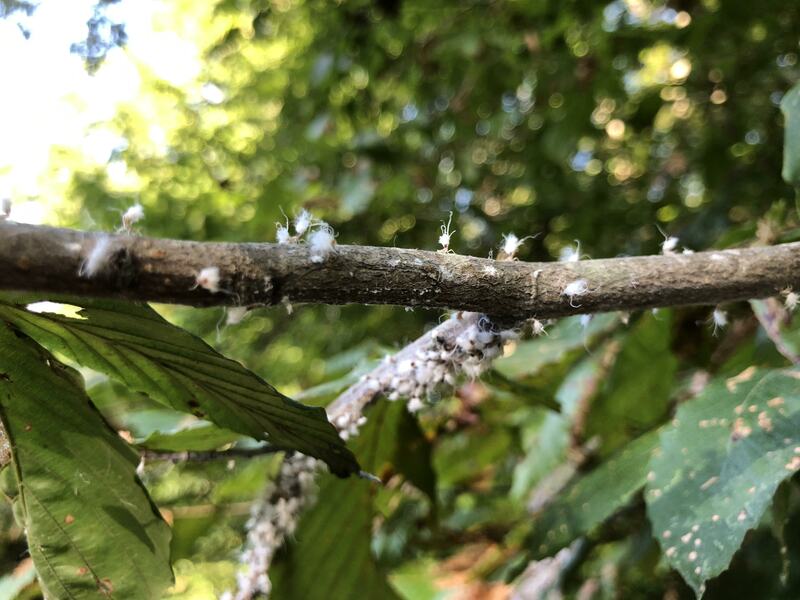 Eriosomatinae (also called woolly aphids) are sucking insects that live on plant fluids and produce a filamentous waxy white covering which resembles cotton or wool. The adults are winged and move to new locations where they lay egg masses. The nymphs often form large cottony masses on twigs, for protection from predators. They occur throughout the Northern Hemisphere.